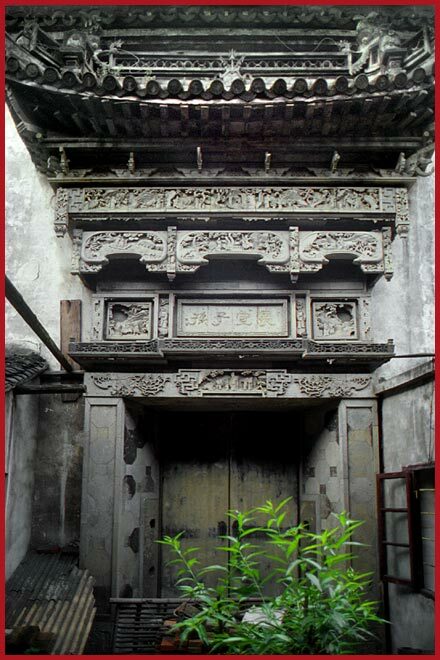 Let me tell you right away, that a part of Wuzhen is on the "Tourist Trail", and whenever that happens the spirit and the soul of a place will normally disappear forever! 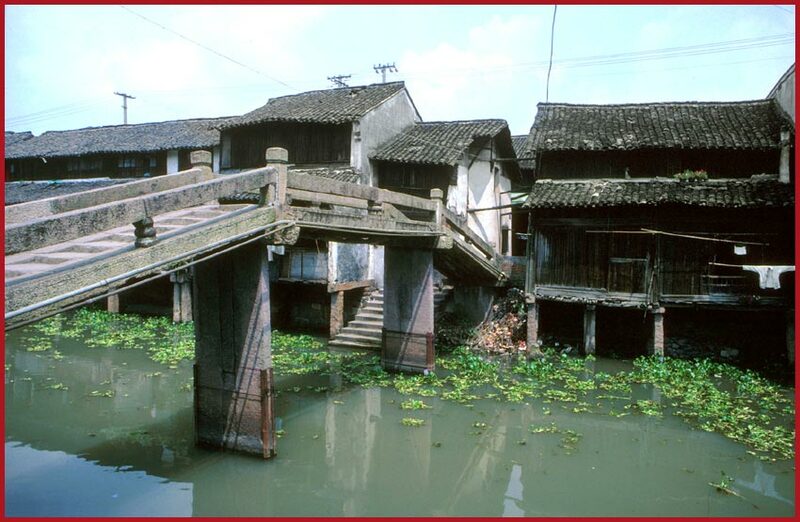 However,- in the case of Wuzhen there are still great possibilities for the serious traveller! 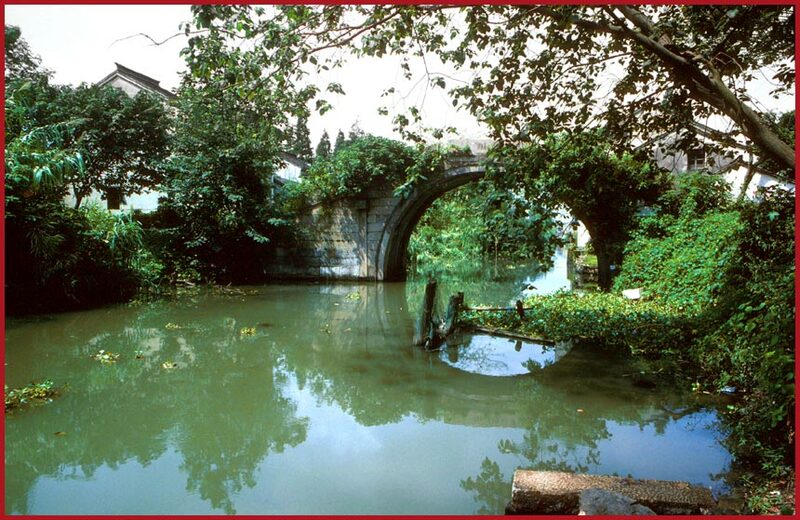 Wuzhen is centered along a canal system named after the directions, north, south, east and west. 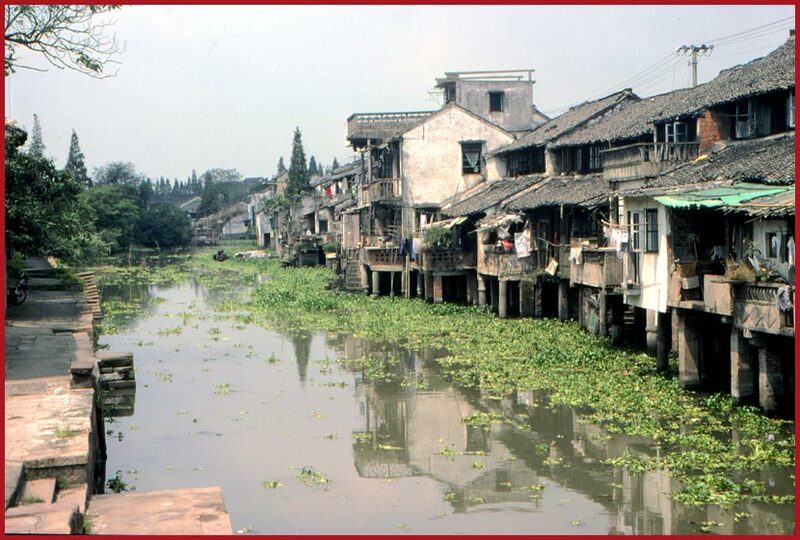 The result is that this part of Wuzhen is VERY crowded,- and it does indeed spoil a lot of the attraction that this old town really holds - - - if you can see it for people! 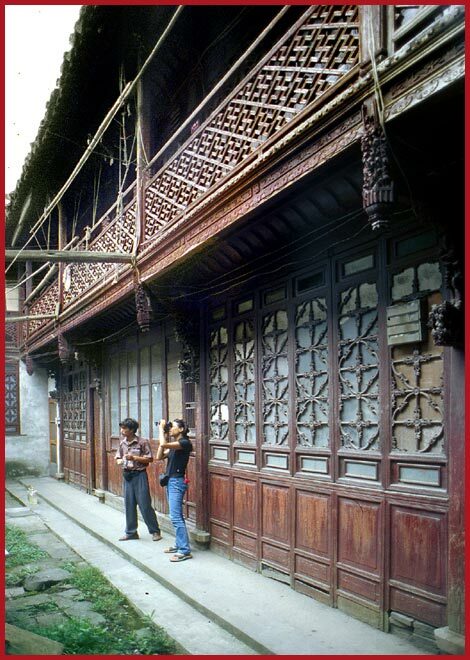 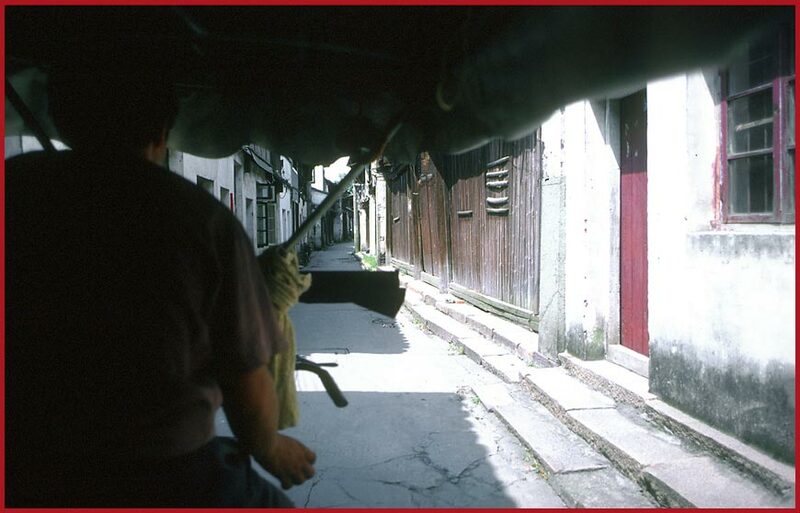 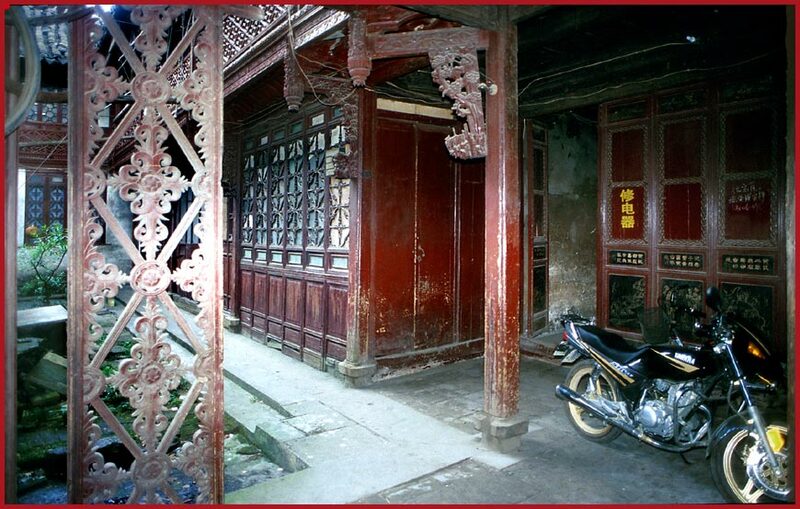 Therefore,- most of the pictures I have chosen to submit here on the following pages about Wuzhen are from the unspoiled "North Street", while I only put few pictures from the restored tourist area around "South Street". 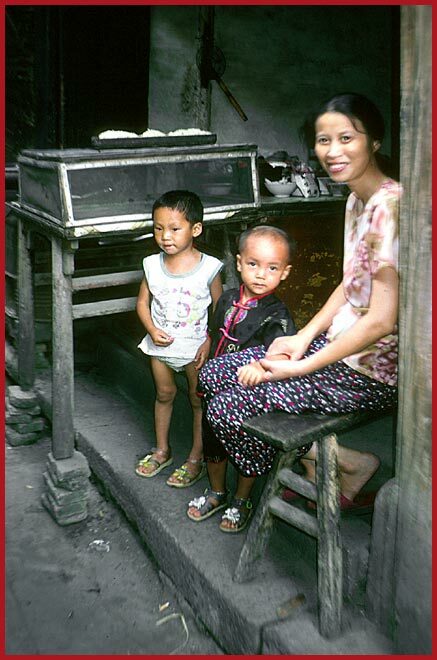 Never seen a "Foreign Devil" before???? 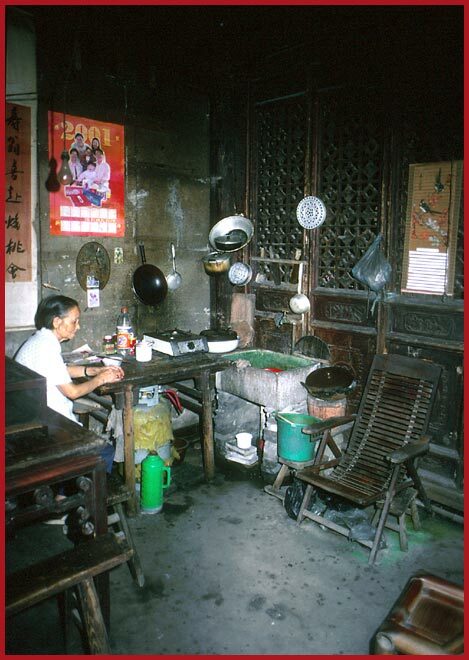 Normally you do not very easily get access to a Chinese home, but since Kit Yu was my travel companion ,- and of course knew the Chinese language -, a lot of doors opened for us! 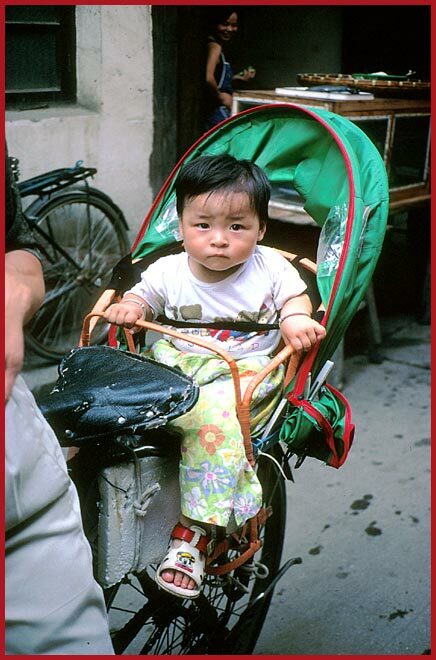 At one point we were riding a bicycle taxi,- and Kit Yu and the "driver" started to talk! 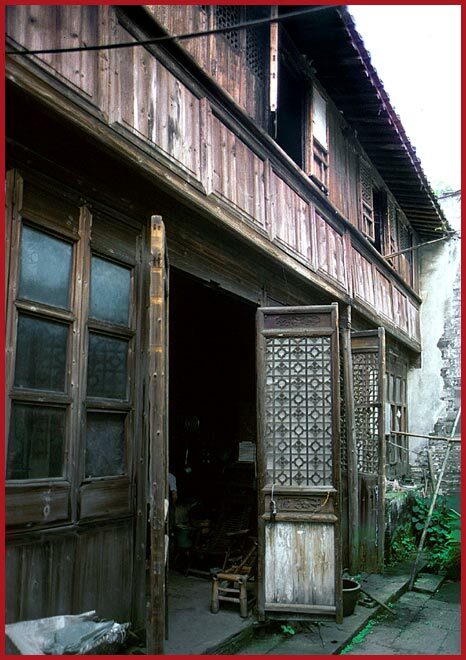 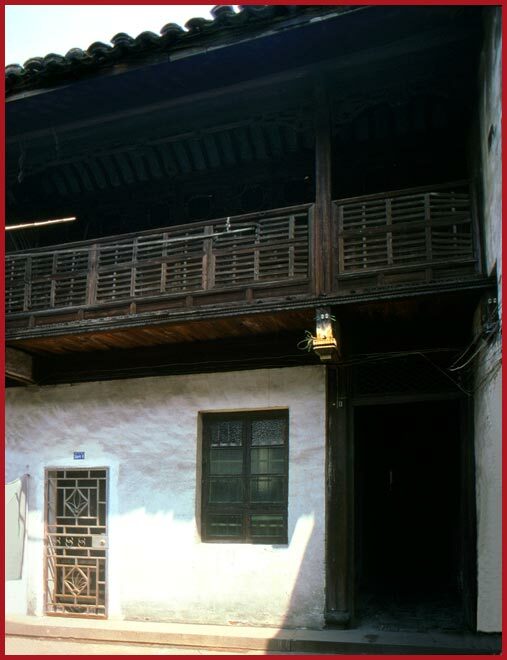 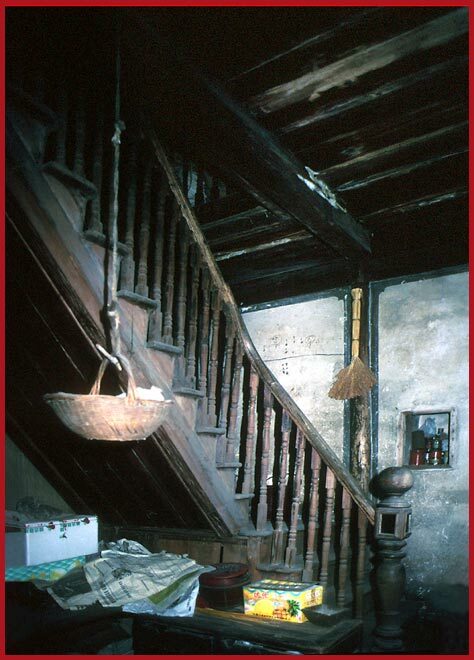 When he found out that we looked for historical and cultural things,- including old, original houses -, he told us that his family once lived in such an old house. 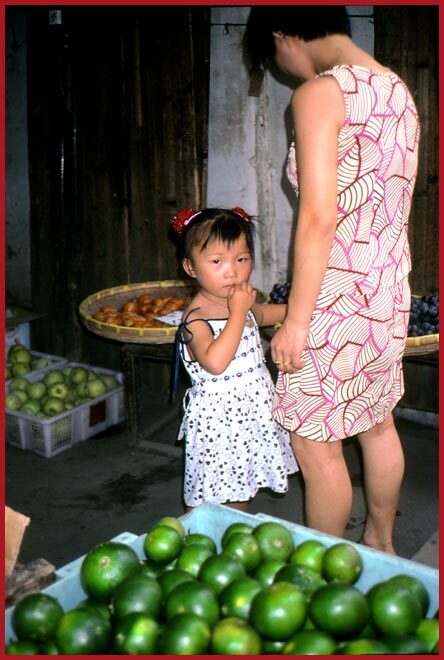 He suggested that we went there,- and of course I could not say NO to such an offer! 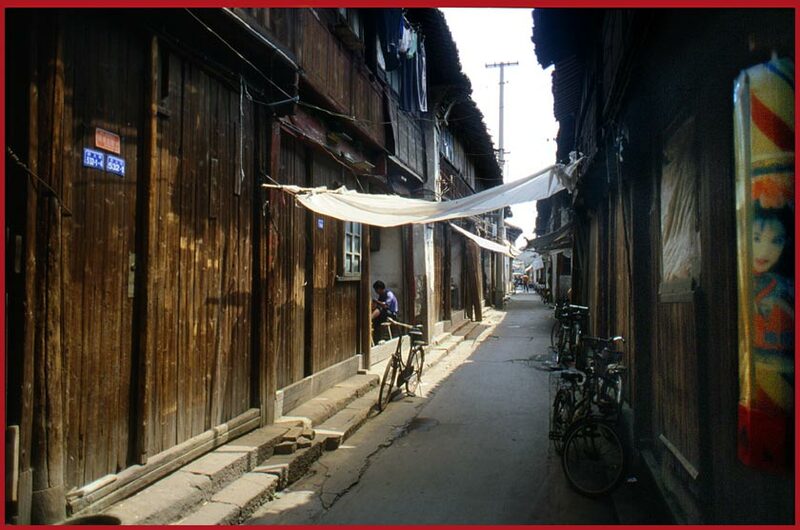 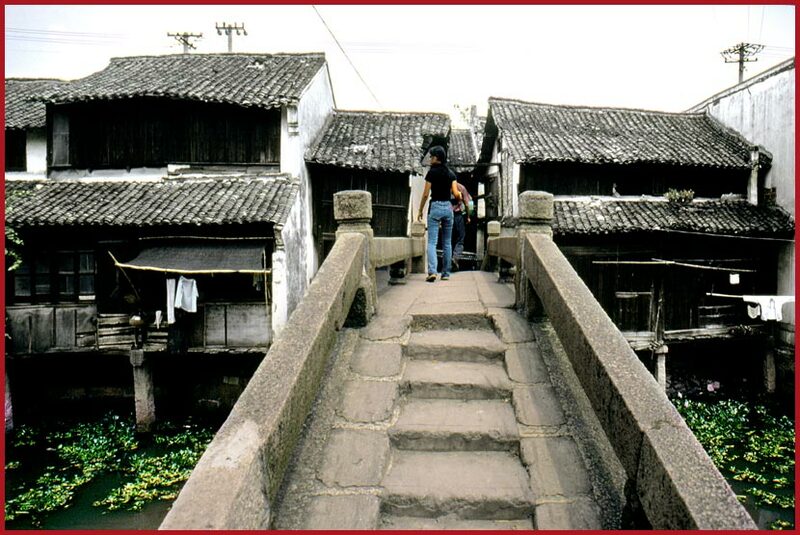 The trip to the "old woman's house" also introduced us to another side of the design of Wuzhen! 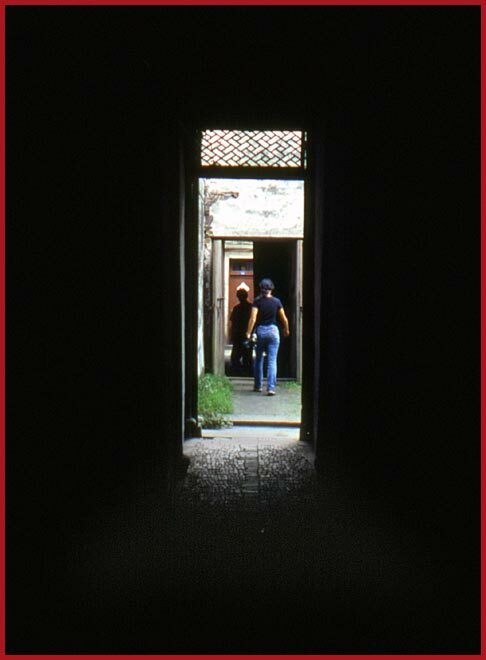 From the main roads, - parallel to the canals -, there are small openings, like holes in the wall -, which gives access to hidden courtyards behind the main street! 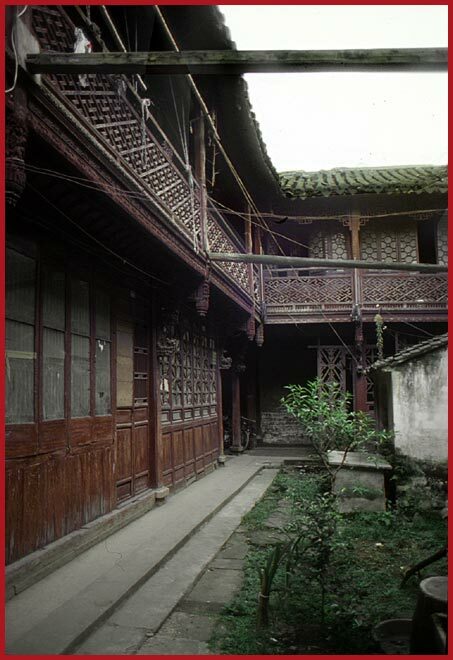 Sometimes not only one, but several small, very picturesque courtyards,- one after the other -, connected by very long, and very dark passages! 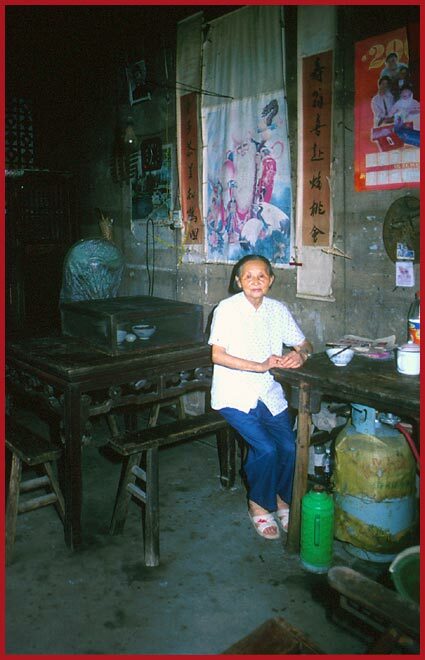 Please enjoy my impressions from the visit to "the old woman's house",- hidden away, far behind the main road! 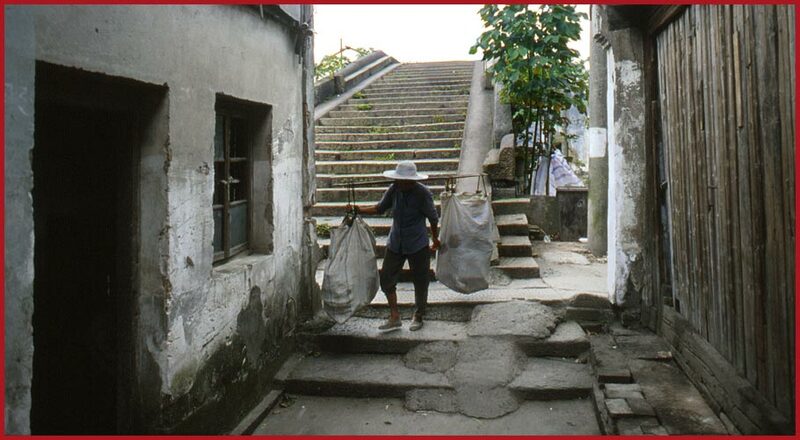 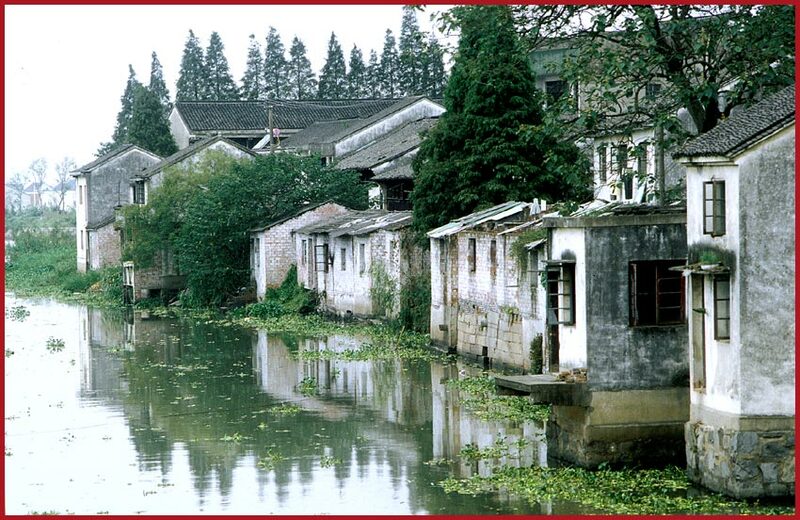 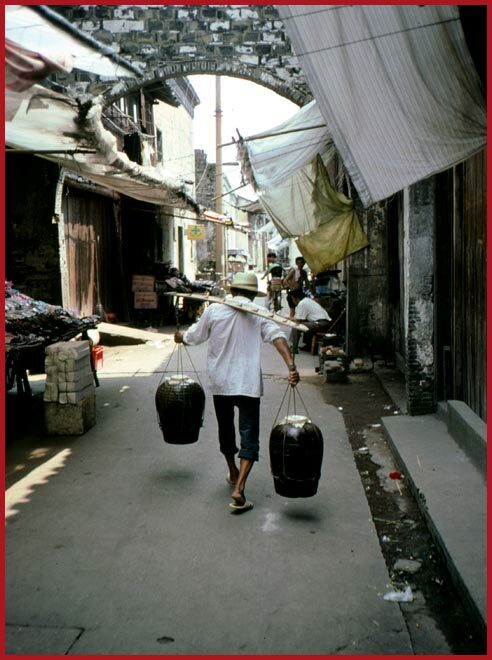 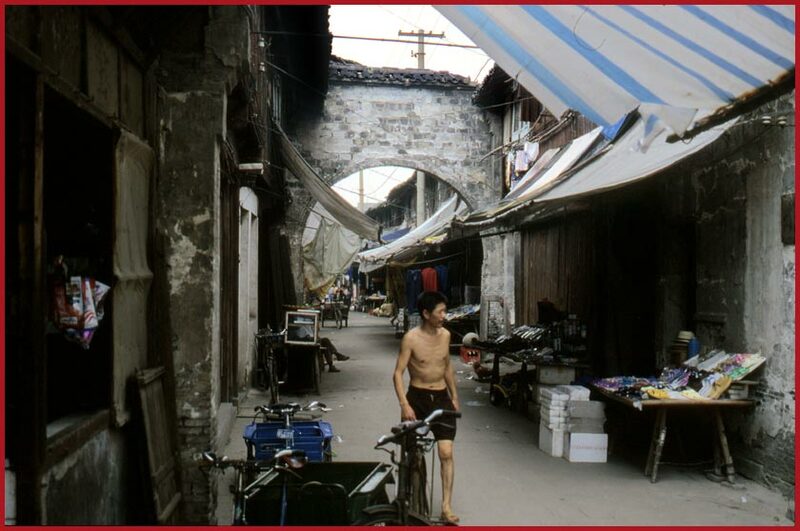 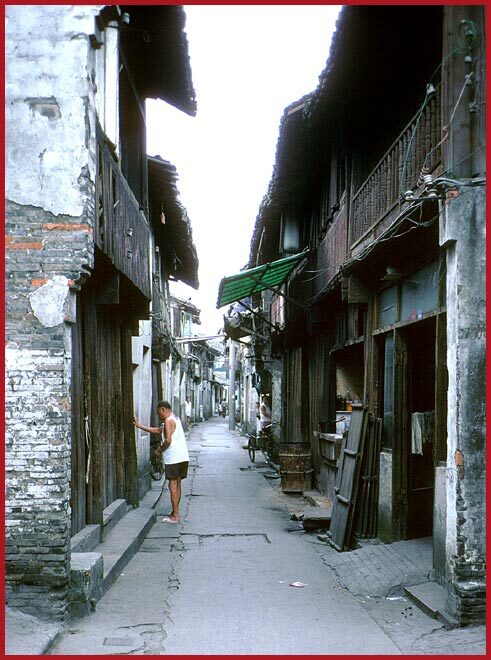 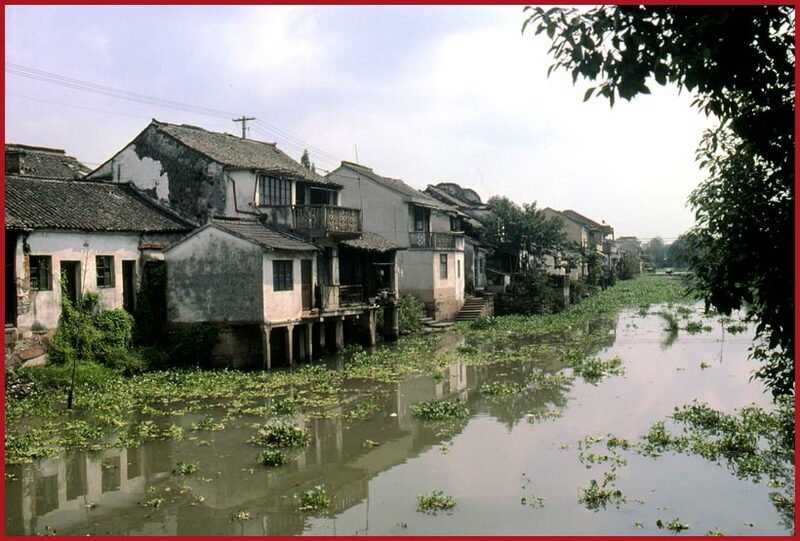 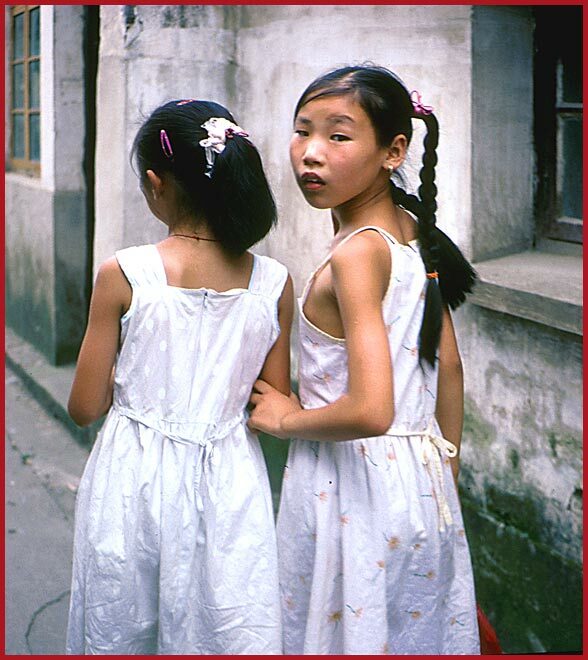 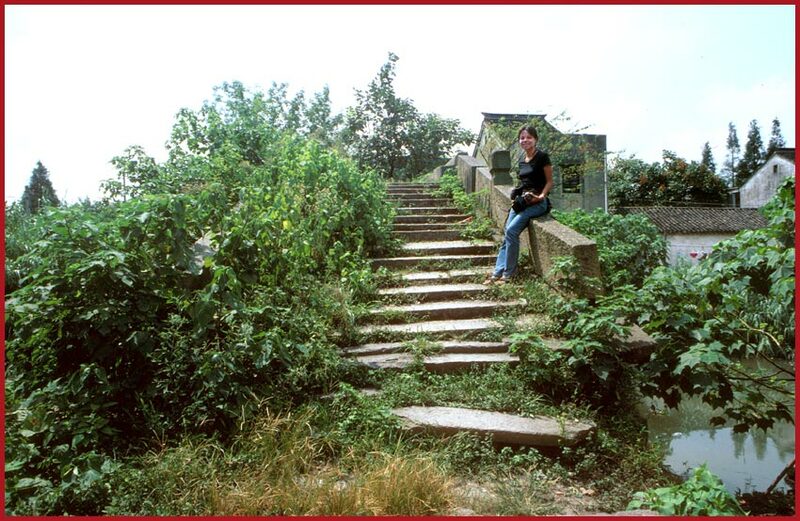 BACK to "China's water towns"